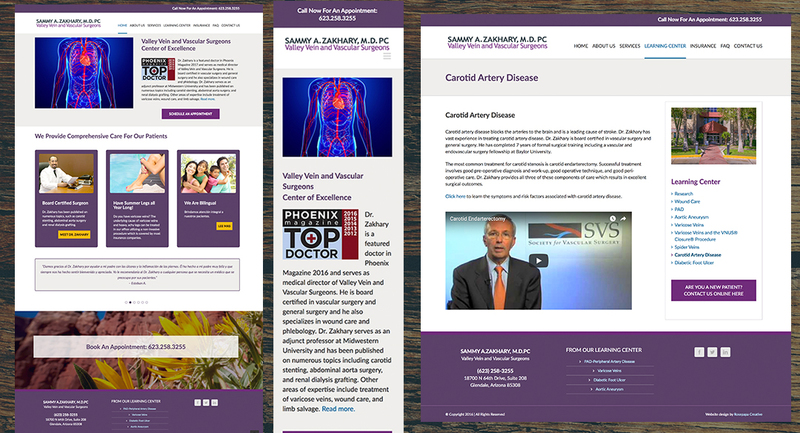 Website design and development for a leading Vascular Surgery center in Phoenix. Chris met in person with the Office Manager and the Doctor. She worked closely with the Office Manager on the project to ensure accuracy and that the services were represented in the most effective way. After the website was completed, Chris trained the office on how to keep the website up-to-date and also offered assistance with the ideas and messaging for social media.